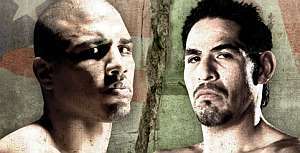 The anticipated rematch between Miguel Cotto and Antonio Margarito is planned for the summer of this year. One of the venues being eyed by Top Rank was the Madison Square Garden in New York. They are looking to staged it in the same weekend of the Puerto Rican day parade that is held annually on the second Sunday of June to attract more audience to the event. Cotto is Puerto Rican and commands a huge following from them. “That is where we want it,” said Lee Samuels of Top Rank when I chanced upon him on the press room of the Boardwalk Hall arena in Atlantic City for the Gamboa - Solis fight last Saturday. "But MSG is renovating,” he added. MSG which is called the Mecca of boxing owing to great fights staged there in the past is currently undergoing renovations at this time. Work on the famous arena started last summer and is expected to continue through 2014. MSG is still operational despite the construction but with limited accessibility on certain areas of the arena. Updates on construction can be found on its website. “Plus MGM wants it so bad,” added Samuels who is Top Rank’s publicist. The MGM Grand arena in Las Vegas was the venue when the first match between the two boxers occurred in July of 2008. Margarito stopped Cotto in eleven rounds in a brutal match that saw Cotto’s face bloodied and badly damaged. Margarito fought Shane Mosley next on January 2009 and was found to have an illegal substance inserted in his hand wraps. He was suspended for almost two years but was granted back his boxing license on the state of Texas where he fought and loss to Manny Pacquiao in November of last year. Questions arise if Margarito used the same illegal hand wraps in his TKO win over Cotto. Margarito has not been granted license on any other state except Texas. I asked Samuels about this and he is confident he will be licensed just in time for the bout. “If not, we’ll find some place else,” he remarked. The rematch is much anticipated by the boxing world as the plot and drama surrounding it, is hard to ignore. Cotto wants to avenged his first loss and Margarito wants to prove that he did not win with illegal hand wraps. It will be a good match to sell and a large venue is appropriately needed for this match.